You may remember the mini I sent away in December for the IG Mini Swap. At the beginning of this month my IG Mini Swap quilt arrived from Lisa in Pennsylvania. It is lovely! 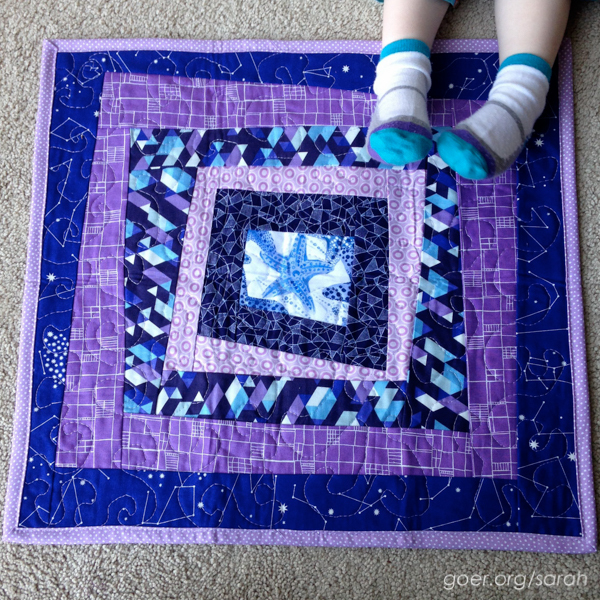 Lots of great blues and purples in this wonky log cabin quilt. And look at that cute sea star fabric in the middle! My 2 1/2-year-old was instantly attracted to everything in my package, asking me repeatedly to open the chocolate because "she likes chocolate and wants to eat chocolate." (Yeah, I'll be eating that when she's not around.) She's also pretty insistent that the zipper pouch is for her. She enjoyed putting all the goodies into and out of the pouch repeatedly. Thank you so much, Lisa! What a delightful package of goodies. I'm putting my first Instagram swap in the win column! Posted in Quilting. 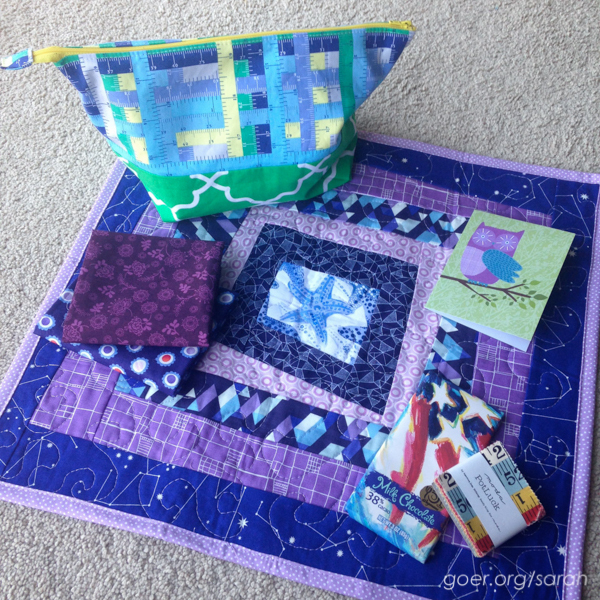 Tags: igminiswap, mini quilt, swap on January 16, 2015 by sarah.